On two separate occasions in the last week my dearest friend and I have been privileged to meet with adventuresome folks who decided to enhance their Route 66 odyssey and ensure a memorable trip was an unforgettable adventure. In each instance the added component was time travel. For those willing to make the sacrifice by foregoing a few of the former luxuries that are now deemed necessities, time travel is possible. All that is needed is a vintage automobile, not a modern car masquerading as a vintage automobile but the real deal. National Old Trails Highway in eastern Arizona. photo courtesy Historic Vehicle Association. To cruise the highway in a car or truck that is as it was when it rolled from the factory, or with period correct accessories, is as close as we can get to leaving the modern era behind to step into the world of the 1950’s, 1930’s or even the teens. With each modification made, with each inclusion of modern conveniences the illusion of time travel blurs. Bright and early yesterday morning my dearest friend and I met with the intrepid team from the Historic Vehicle Association, an organization that is celebrating “America’s Road Trip Century” by recreating Edsel Ford’s journey from Detroit to San Francisco in 1915. 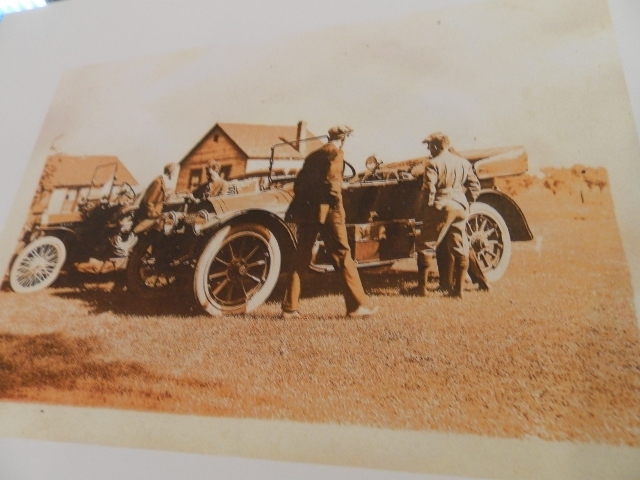 If it wasn’t enough of an adventure to attempt a cross country drive in a century old Ford, the association team is following the National Old Trails Highway of 1915 and other roads used by Edsel and his friends on that trip to the world’s fair exposition in San Francisco where ever possible. Fortunately for the association, Edsel and his friends kept a rather meticulous photo journal of their American odyssey. 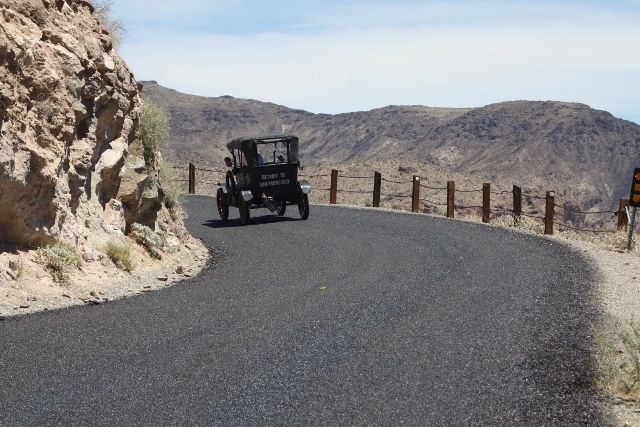 In addition to providing a detailed look into the world of cross country road trips in 1915, it enabled the team to quite literally follow Edsel through the heartland of America and into the deserts as well as through time. As I sipped coffee, turned pages in the journal, read entries about the trials, tribulations, and adventures of free spirited young men on a voyage of discovery, and identified locations in the sepia toned images, it seemed as though time was being rolled back. 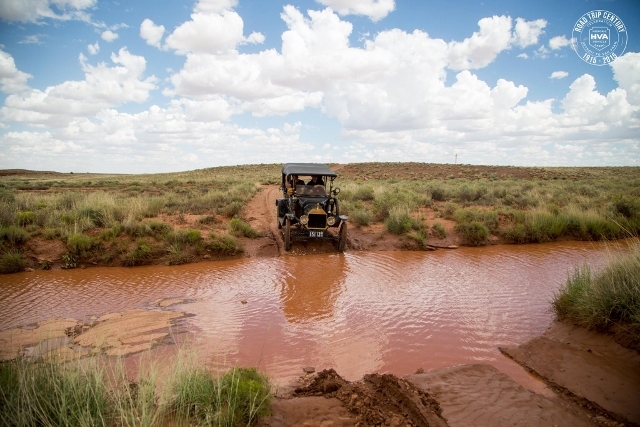 Then we stepped outside and watched as the mud spattered Ford was rolled from the storage trailer, and the daily maintenance routine commenced before the drive to Barstow began. 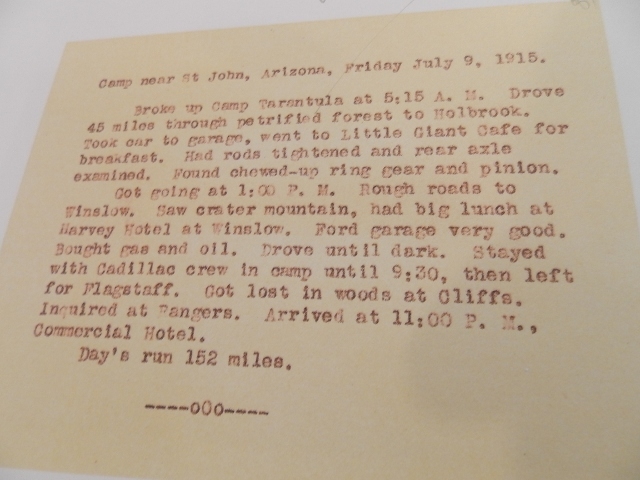 After lengthy discussion about the original trip, I agreed to accompany them to the summit of Sitgreaves Pass, point out locations noted in the journal, and provide some historical commentary. 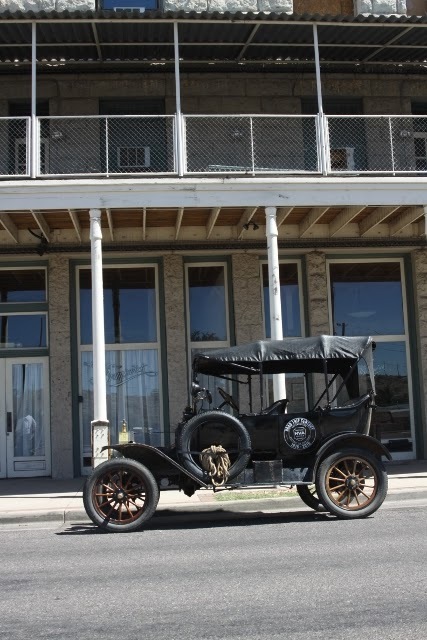 Our first stop was the Brunswick Hotel, Edsel’s overnight stop after an arduous drive from Flagstaff. Next was a stop at the Powerhouse Visitor Center. Mark Gessler, president of the association wanted this as a photo stop. He also wanted a few books including EZ 66 by Jerry mcClanahan. This was followed by a stop for gas at Canada Mart, an interesting endeavor as the tank is under the front seat cushion. Then it was off to Cool Springs and the climb through Sitgreaves Pass. My experience with the Model T is rather limited. We double dated in a 1926 model, and a few acquaintances over the years have driven them around town. This, however, was my first opportunity to really evaluate them on the open road. I was rather impressed. Mark maintained a steady clip of thirty to thirty five miles per hour in the valley, and pulled the grade to the summit without overheating. The only mishap was the loss of a license plate bolt that necessitated the use of a zip tie, the modern equivalent of bailing wire.